Flameguard Fire Equipment is a fire protection equipment supplier and fire extinguisher inspection company with over 30 years of experience installing and servicing suppression systems and extinguishers. We take great pride and care with our inspections and estimates for each job, no matter how large or small. Many of our customers are referred by our current clients, most of whom have been with us for over 20 years. We keep our customers delighted with honesty, reliability, and professional service. Call us today at (561) 389-8355 or complete the form to schedule a free estimate. Compare the savings and experience the outstanding service of Flameguard Fire Equipment. A portable fire extinguisher is arguably one of the best and most cost-effective defenses against property damage from a fire. Flameguard Fire Equipment does annual certifications on fire extinguishers, complete on-site recharging, and we are a D.O.T. hydro test facility. 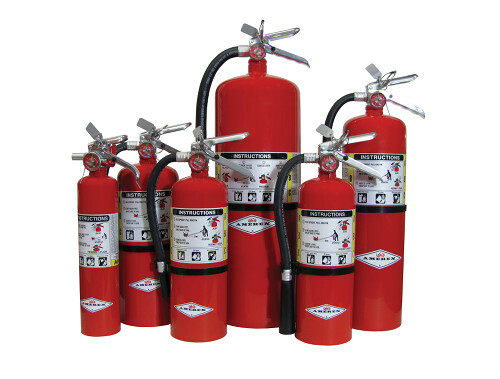 We offer a full range of fire extinguisher products from the nation's leading manufacturers, including Amerex, Ansul, Badger, Buckeye, and Pyro-Chem dry chemical. We also distribute a wide variety of fire extinguisher cabinets and cater to construction companies with quantity discounts. 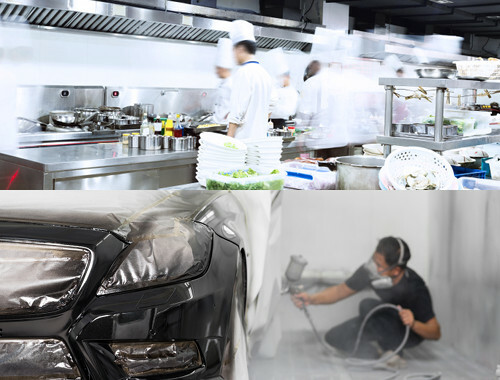 There are many different types of fire suppression system applications, such as restaurants, industrial paint spray booths, marine, and clean agents. Unlike some fire protection companies, we are fire suppression experts with over 30 years of experience in commercial fire suppression design, installation, and service. Flameguard Fire Equipment is state licensed to install and service all pre-engineered fire suppression systems from food trucks to large hotel kitchens. Contact us today for a consultation and free estimate. We service, replace batteries, and install new units when necessary. The signs we carry represent the latest technologies on the market. You can get battery backup, self-luminous signs with contained chemical lighting elements, and countless options for cool-burning LEDs. Many of our products draw a tenth of the power of older models, while lasting longer and looking better throughout your public spaces. 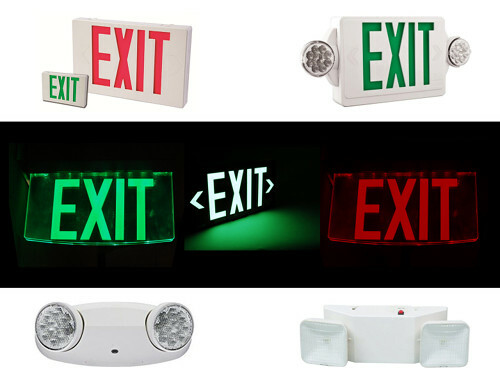 Whether you want edge-lit designs, or signs that come with emergency lighting attached, we can help you stay safe in style. We service all sizes of businesses in multiple industries. 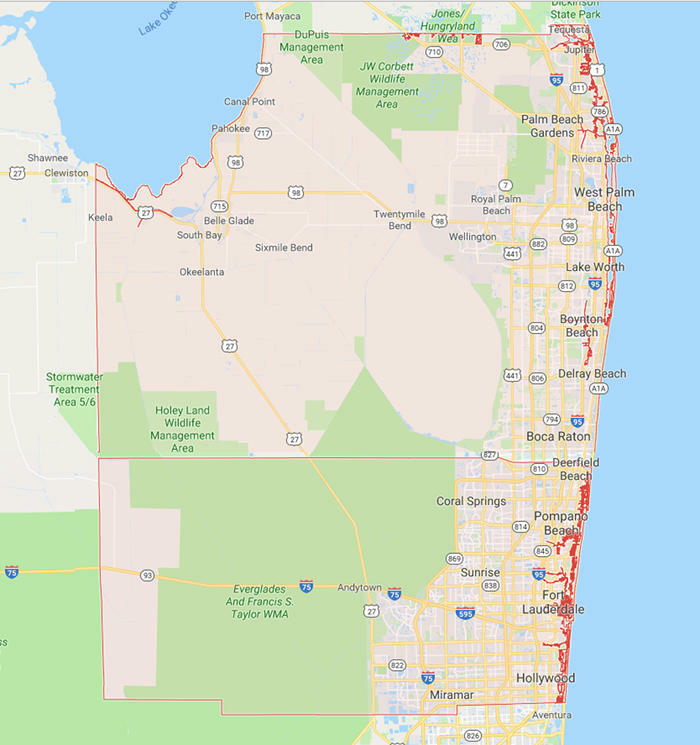 Our services span thousands of local Palm Beach and Broward County businesses and we provide local servicing for national chains. "I have built and run 6 restaurants in Palm Beach County and Flameguard Fire has installed and maintained all of them. They know exactly what is needed for installations and passing all fire inspections. Excellent company!" "I could not be happier with Flameguard Fire. They e-mail me when I'm due for my annual service and they don't play pricing games. When you find a good vendor in South Florida, you stick with them." "Flameguard Fire replaced my old system and has maintained it since 2007. They respond to my service calls usually the same day. I would definitely recommend." "When I opened my restaurant, Flameguard Fire got my permits, made all the changes to my existing system, and got all the necessary inspections on time as promised. The crew at Flameguard are wonderful!" Why do I need to have my fire extinguishers certified? 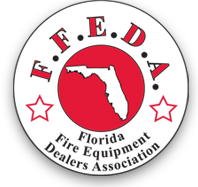 The State of Florida requires all commercial fire extinguishers be certified by a state licensed fire extinguisher company. This does not apply to personal or residential fire extinguishers. If properly maintained, your fire extinguisher should operate properly when needed. Do I need to recharge my fire extinguisher after use? Once a dry chemical fire extinguisher is discharged the valve stem seals get coated with a chemical, and there is a 95% chance it will lose pressure. The chemical will stay in, but there is no expellant gas to discharge it. There is nothing worse than needing a fire extinguisher and having one that doesn’t work. How often and why do I need my automatic fire suppression system to be serviced? NFPA 17A Florida State law requires that all fixed fire suppression systems be serviced on a semi-annual basis, which includes system function test, fusible link replacement, and periodically cartridge replaced. For all commercial business, state codes vary based on hazards and room dimensions. A good rule of thumb is one 5 lb ABC fire extinguisher will cover 2500 sqft with no more than 75 feet travel distance. This means you should be able to stand anywhere in your building and not have to walk more than 75 feet to get to a fire extinguisher. Can I buy my fire extinguishers at The Home Depot or Lowe's? Yes, for residential or personal use they are fine. Commercial fire extinguishers need certification tags. So, any savings is lost when the service company has to come to your business and certify the fire extinguishers. Our fire extinguishers are tagged, delivered, and installed at the proper locations and heights to meet all state codes. How soon can I get service from your company? Normally within a 24-48 hours notice. If you are a current customer, we offer 24/7 emergency service. Contact us for a consultation and free estimate. We look forward to working with you. © 2019 Flameguard Fire Equipment, Inc.